Luke Adams – his goal was a fabulous finish to a brilliant move. A banger. Khalsa knocked out MFA League Cup holders Walsall Wood in the first round, securing a first win over their neighbours in over two and a half years. In a match that was a fast and furious affair, Khalsa boss Ian Rowe took the gamble to rotate his squad with six changes from Saturday’s win against South Normanton. It was a gamble that paid off handsomely. Wood were full throttle throughout, never letting up the pace or letting the home side settle. On three minutes, ex-Khalsa striker Tony Clarke was unlucky not to put his side ahead, lofting a ball over Sam Arnold while clear through only for Shawn Boothe to clear off the line. 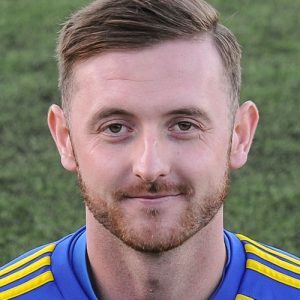 Jay Holdcroft – who has patiently awaited his chances while making impact appearances off the bench – grabbed his fourth of the season on 14 minutes, scoring a fantastic effort with the outside of his right foot. On 35 minutes – with the game rocking back and forth like a basketball match – Holdcroft almost doubled the lead, firing just wide from Josh Thomas’s cross. Thomas did double the advantage on 43 minutes, a troublesome cross by Holdcroft from the right somehow not controlled by Lloyd Ransome in the Wood net and spilled the ball, giving Thomas the easiest of finishes. With Khalsa cruising towards half time, Wood gave themselves a lifeline, a sumptuous freekick by Joey Butlin in injury time escaping the grasp of Arnold to make it 2-1 going into the break. Liam Armstrong got the second half off to a flyer, firing a low shot that needed Ransome to save smartly. This was followed shortly after by a great goal by Rico Taylor, superb work by Holdcroft to win, hold up and feed the midfielder resulted in a fine finish to make it 3-1. But the best was to come on 54 minutes when sharp passing by Armstrong, Holdcroft and Thomas ended with a scorcher by Luke Adams – making his first appearance of the season – in the top right hand corner. Wood didn’t let up and Khalsa had to battle for everything despite their advantage. Thomas almost grabbed his second on 73 minutes, twisting and turning into the box and rifling an effort just wide. On 88 minutes Wood had another lifeline, a soft infringement on Butlin resulted in him getting up and firing home the resulting penalty kick to give a few jitters. But these didn’t last long, on 92 minutes Dave Meese controlled and fed fellow substitute Lee Chilton who lashed in his seventh of the season to wrap up a comprehensive but by no means straight-forward win. Sporting Khalsa: Sam Arnold, Vidal Hendrickson, Jonathan Haynes, Shawn Boothe, Tes Robinson (captain), Luke Adams, Rico Taylor (Dave Meese), Liam Armstrong, Jay Holdcroft, Mensah Kinch (Carlo Franco), Josh Thomas (Lee Chilton). Subs not used: Dan Westwood, Alex Melbourne.